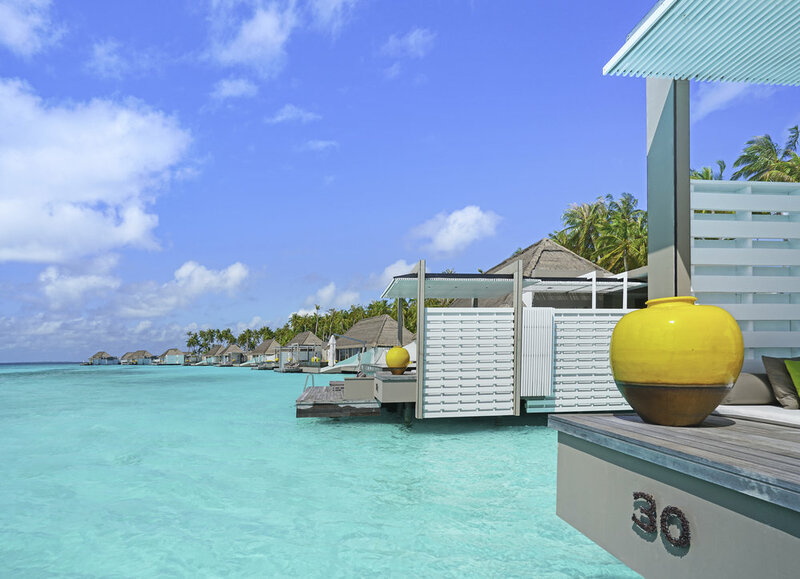 Cheval Blanc Randheli, Maldives is made up of 5 islands: the main island, the water villa island, the spa island, the tennis court island, and the private island. 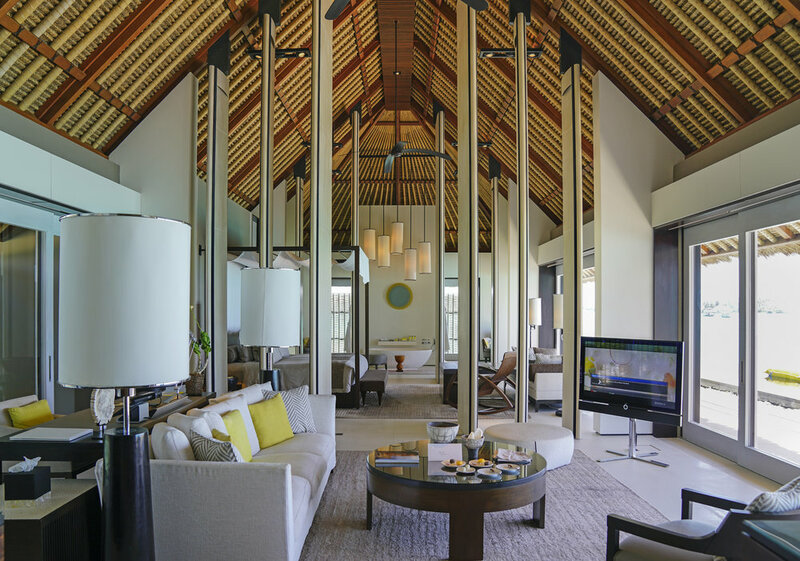 There are approximately 45 villas in total, and each of them are spaced out nicely to guarantee a sense of privacy. Upon arrival of the Maldives airport, we were leaded to the seaplane private lounge. The decor at the lounge aligns well with the overall design of the resort. It is very modern and refreshing with the pop of yellow. All the decor is thoroughly thought out according to their color theme and palettes. They definitely spent a lot of time trying to create the best experiences for their guests; there were also many LV fashion magazines for those who appreciates fashion. They also offer a good range of food and drinks for refreshments, and I love the fact that the juices are made to order so they are freshly made. Overall this is one of the better seaplane lounges we have experienced. 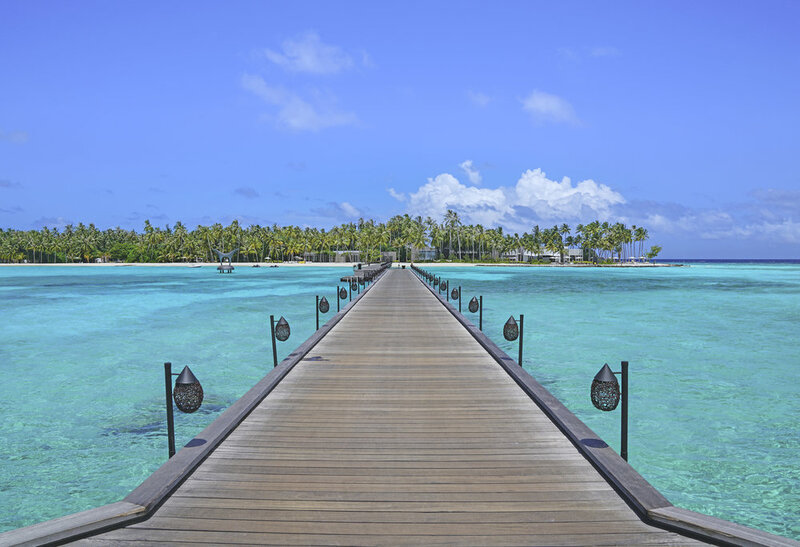 Cheval Blanc is located in the most northern part of Maldives in Noonu Atoll, traveling to their resort can take up to 45 minutes. We had chosen to try their branded seaplane, which has 8 seats versus 14 seats on regular Maldivian seaplane taxi. 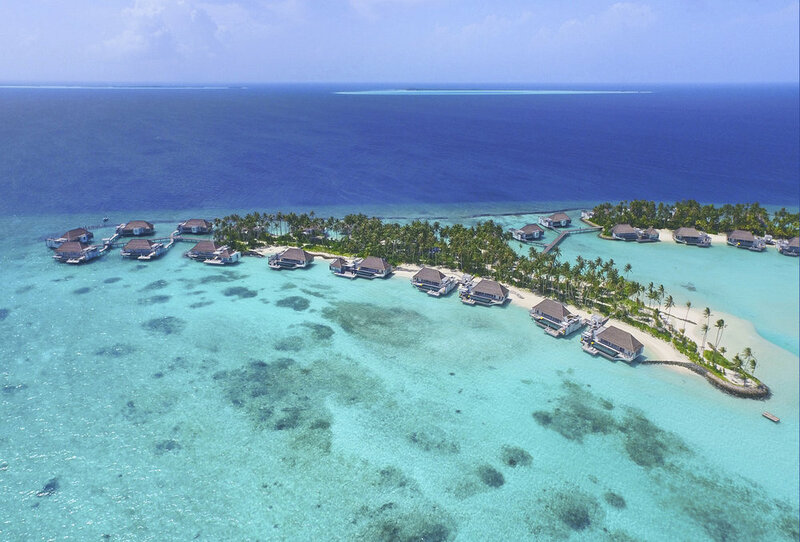 Although it is one of the more expensive seaplane experiences, it definitely saves a lot of time; regular Maldivian seaplane can potentially take much longer to arrive the resort, because they often have to make several stops along the way to drop passengers off to other island resorts. I would definitely recommend this if you are the type that don't want to let any minute goes to waste. The villas here at Cheval Blanc Randheli are designed to give guests a lot of space and privacy. As you can see from the photos, their villas are very spacious and beautifully decorated. My favorite part of the villa has got to be the pool + deck, it is the perfect pool size at your private retreat. With all the open concept glass windows, you can always get an amazing view from the room. All the electronics and blinds can also be controlled with an ipad, very convenient and well thought out. For those of you who really cares about privacy, the villa is designed with a separate butler entrance, where daily refreshments and snacks are being restocked without bothering guests. Everyday, freshly made pastries will be delivered to your villa, perfect for an afternoon snack after a day of activities. To be honest, we were in the room several times when our butler has stock up our fridge and we didn't even know! This leads to service, we were told by one of the butler that in order to work at Cheval Blanc, they had to pass certain tests, and everyone was definitely well trained, and delivered excellent services! 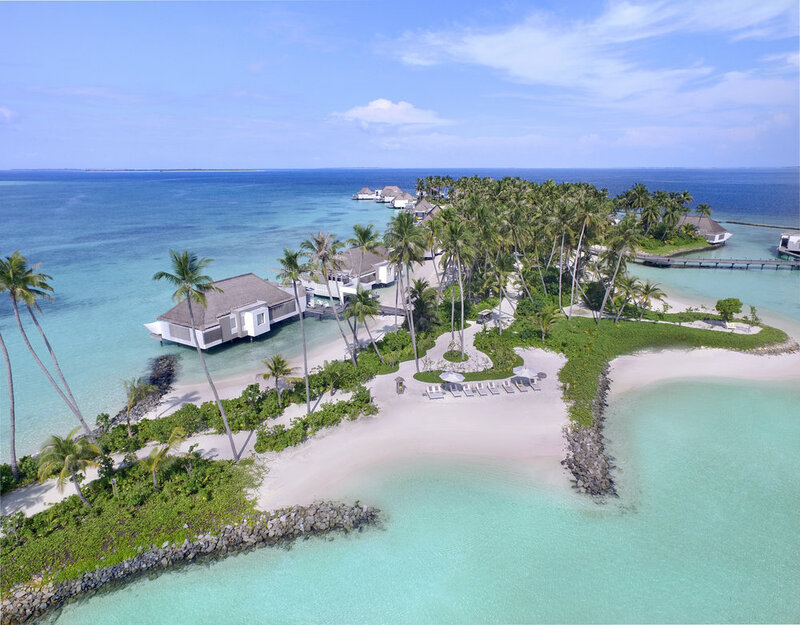 Spa at Cheval Blanc is located on a separate Spa Island, guests will have to travel 5 mins to a separate island via Dhoni (traditional boat). The spa island is actually quite large in size, and guests can also spend sometime at the beach. They use Guerlain beauty products for spa treatment, and there are also non-scented and other type of skin care for guests with skin sensitivity. There are 6 dining options including room service to choose from, please see below. 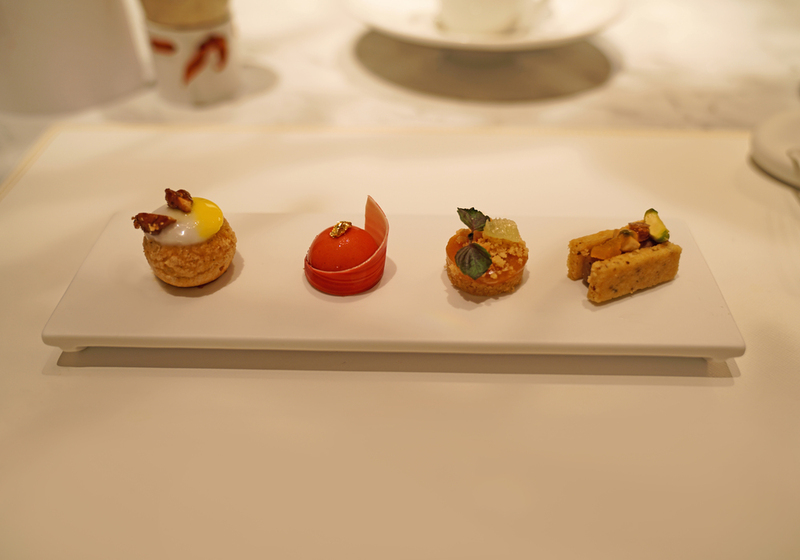 Le 1947, french fine dining, which I highly recommend trying when visiting Cheval Blanc. It is my favorite, also the most popular restaurant here. It is only available on certain dates of the week for dinner, so reservations are highly recommended before arrival. 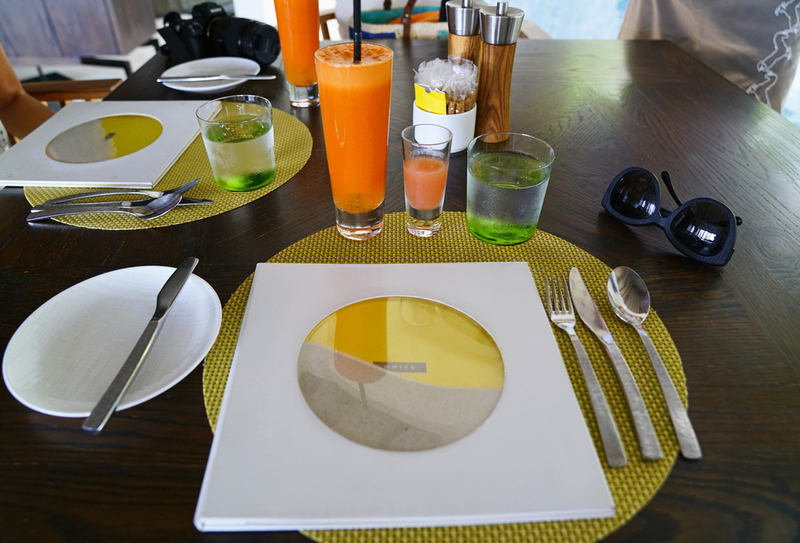 The White, breakfast and all day international dining, it is also connected to the White Bar and the main public pool at the resort. The Diptyque, asian fusion food, dinner only. Only opens certain day of the week, however I didn't get a chance to try during my stay. The Deelani, italian causal dining that serves lunch and dinner everyday. Has great selections of fresh seafood and excellent environment. La Table de Partage is reserved for large party for private dinner with amazing decorations and settings.